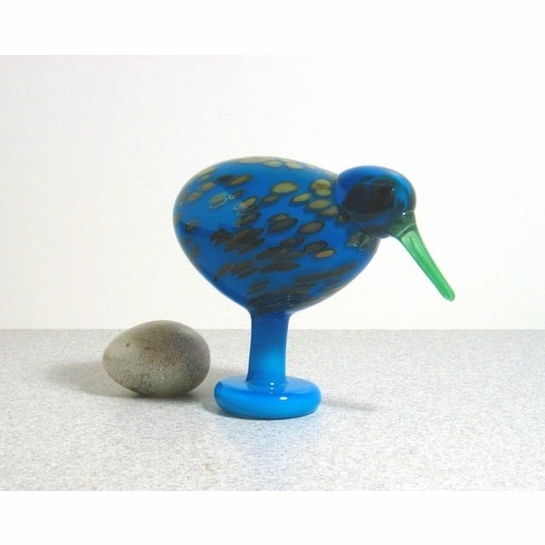 More about iittala Toikka Lagoon Kiwi The iittala Toikka Lagoon Kiwi is a rare glass bird, with only 150 made, each signed Oiva Toikka Nuutajärvi Notsjö and numbered. It was designed in 2002 to celebrate the 30th anniversary of Toikka birds. 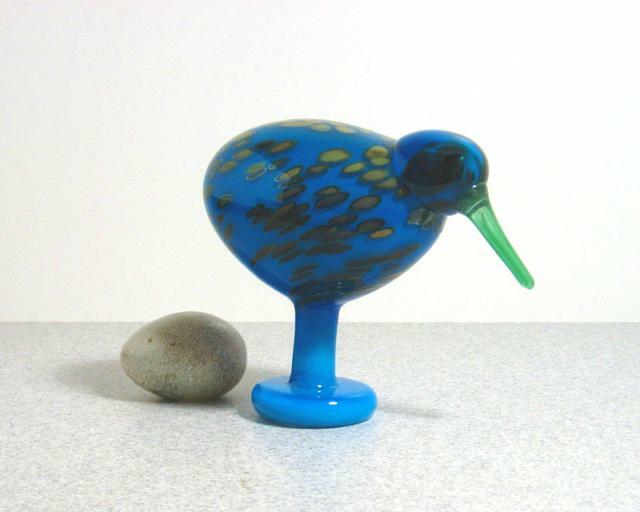 Oiva Toikka's playful depiction of the Kiwi bird uses delight blue coloring with green spots. It's downward-pointing beak, like that of the real-life species, is also lime in hue. It stands on a pedestal foot.